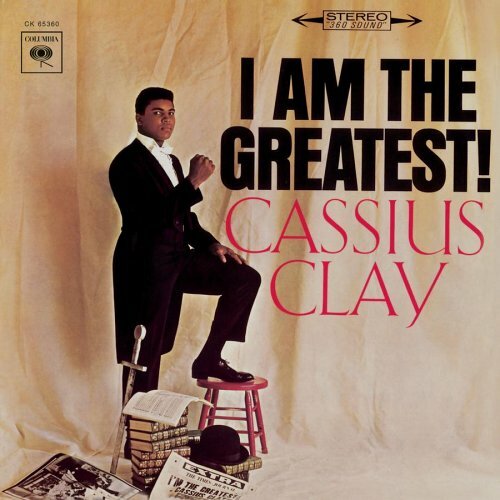 Music for Maniacs: CASSIUS CLAY: "I Am The Greatest"
When great men die, of course, we should remember them by their weird novelty records. 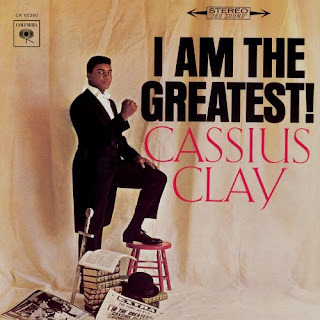 To note the passing of the former Cassius Clay, Muhammad Ali, let's listen to The Lip From Louisville's early '60s album of his clever, funny poems, delivered with gusto. Damn near proto-rapping, I'd say. Some lame comedy sketches that he most certainly did not (entirely) write are in there too, but look on the bright side: bonus tracks that set his poems to groovy music. And then there's his singing... a karaoke-esque cover of "Stand By Me," and a ridiculous sing-along called "The Gang's All Here." "Ali and His Gang Vs. Mr. Tooth Decay" - From 1976, with Frank Sinatra! And Howard Cosell. "The Dope King's Last Stand" - From 1977, with an even more all-starry cast. How's this for a line-up: President Jimmy Carter, Lily Tomlin, Pat Boone, Senator Hubert Humphrey, Billie Jean King, and Sinatra again. As a Los Angeles native, I'm used to seeing celebrities here, as well as in Las Vegas, and New York. If you've spent much time in those cities you know that it's not a big deal, maybe someone will recognize a celeb, chat briefly, then leave them alone. But when I saw Ali strolling thru Caesar's Palace in Vegas, there was a veritable mob surrounding him. A peaceful, respectful mob, but still, I have never seen one individual create such a commotion. I think I saw the Pope, the President, and the cast of "Friends" waving and saying, "Hey, over here! What about us?!"